Costs – Find out which Riverside, California tree owners pay for tree maintenance and removal, along with stump grinding and removal. FAQs – What is the biggest tree in Riverside? What about tree regulations for those who want to plant new ones? All of these facts are below, along with additional knowledge you might want to know about the area when it comes to trees. Services – Need a pro today? Find one from our list below. How Much Do Tree Services Cost in Riverside? The cost of tree services in Riverside, California, varies by numerous factors, from the size and location of the tree to the relative difficulty of the service. Tree removal is rarely as simple as it sounds. In a suburban or urban area, most trees cannot just be felled without causing damage to nearby structures, and this affects pricing. Very old, thick or tall trees are the most difficult to remove and frequently require professional aerial work and rigging. In general, the more difficult and hazardous the removal job, the pricier it will be. Landowners in rural settings often enjoy lower fees for tree removals, about $730. Homeowners in Riverside must dispose of their green waste to keep up with city codes, and that includes removing the leftover stump following a tree removal. The bill for stump removal reflects equipment and labor costs, about $80 to $100. If the tree was fairly expensive to remove due to its size or location, it is likely the stump will be more expensive, too. However, the price spread on stump versus tree removal is comparatively narrow. Other factors being equal, tree trimming usually costs less than an outright removal, about $630. However, over time, the cumulative price of tree maintenance often outpaces end-of-life removal costs. Tree trimming is thus usually the biggest expense on a care budget. 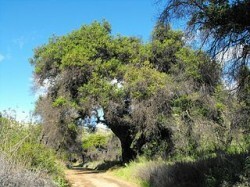 Additionally, different kinds of trees carry their own expenses. Palm trees, for instance, may cost more to maintain. The tallest palm trees’ soaring heights make routine trimming more difficult by requiring extra-long boom lifts. Sunny Riverside, California, first gained fame and fortune through its citrus trees. Now, the City protects remnants of the lush orange groves that made its denizens rich at the turn of the century. Citrus aren’t the only kinds of trees planted in Riverside. Located on the banks of southern California’s largest river, Riverside has a Mediterranean climate that supports countless species including a diverse native mix of southern oak woodlands, chaparral and coastal sage. Historic Victoria Avenue is lined with Peruvian peppers, dozens of eucalyptus species and hundreds of the iconic skyline palm trees for which Southern California is famous. Riverside has some very big trees. The largest girth in town is claimed by a mammoth, 200-inch desert ironwood tesota tree. Additionally, few trees can surpass the city’s many giant eucalyptus in sheer size and diameter. Heading west and north from Riverside, travelers will eventually run into huge stands of redwoods. The state tree of California dominates Pacific coastal ranges from the Big Sur below the San Francisco Bay all the way north to Humboldt County. A wide variety of tree fruits can be grown in Riverside’s characteristic Mediterranean climate. Backyard citrus trees have long been popular among the homeowners here. Landscape citrus trees bear oranges, lemons, tangerines, limes and grapefruits in abundance. Apart from citrus, some of the most common tree fruit cultivars include peaches, plums. apricots, persimmons, pecans, apples, avocados, cherries, bananas, figs and olives. Riverside’s Trees and Landscaping Division maintains arbors located on public property and also oversees those private trees that overhang a public right-of-way. By law, private owners in the city are responsible for trimming and removing street trees, but the City’s Trees and Landscaping Division oversees all maintenance and removals. When should owners remove dead trees? The perfect time for tree removal in Riverside is January, the coldest month of the year. Frozen or cold-hardened ground is less likely to be torn by falling debris. In Riverside, powerful Santa Ana winds are known to interfere with power lines, and downed power lines can quickly spark massively destructive wildfires. Homeowners are advised not to plant tall trees underneath the electrical power lines. The City’s Tree Inspector may order the pruning or removal of any private tree found to encroach on one or more lines connecting utility poles. Nestled in the Inland Empire of Southern California, Riverside is about 50 miles from Los Angeles and the Pacific Coast. The interior suburb lies in a semiarid Mediterranean zone that gets its moisture from the nearby mountains and its winds from the high desert. Cicadas and floodwaters are common in the springtime. Riverside has seen record heat and drought in recent years, so landscape trees must be able to survive such harsh conditions. Homeowners should use water wisely and plant hardy tree varieties in the most suitable locations. Burr oaks and hickory trees, for instance, are more likely to thrive in uplands; lowlands are better for swamp white oak, bald cypress and black walnut. 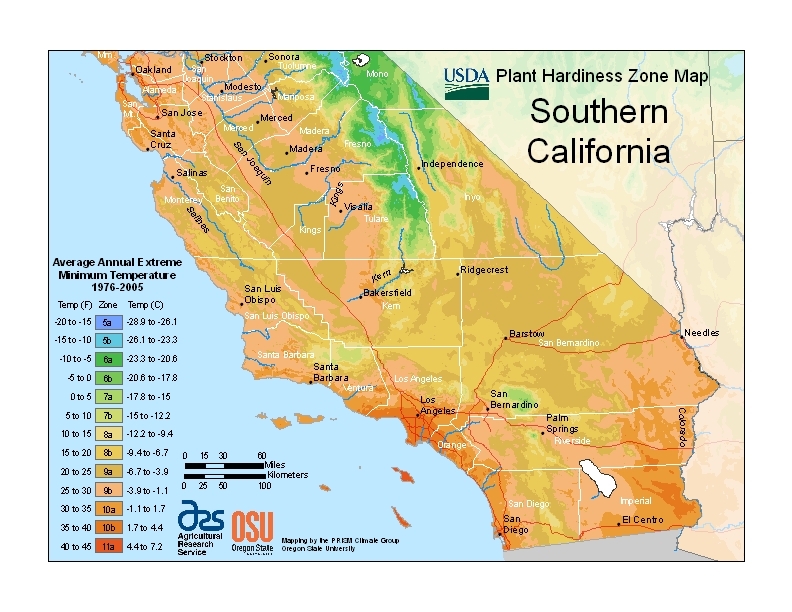 Growers in Riverside should note certain issues related to the health of local trees. The Asian citrus psyllid, recently discovered, is already causing damage in Riverside County. Psyllids cause the fatal citrus greening disease. Homeowners are advised to spray their citrus trees to foil the spread of psyllids. Additionally, some local landscape arbors, especially oaks and avocados, are threatened by Fusarium dieback, a deadly pest-propagated disease. 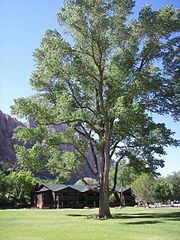 The ash tree population of Riverside, as in many other cities, is already in decline amid an ongoing infestation of the emerald ash borer.